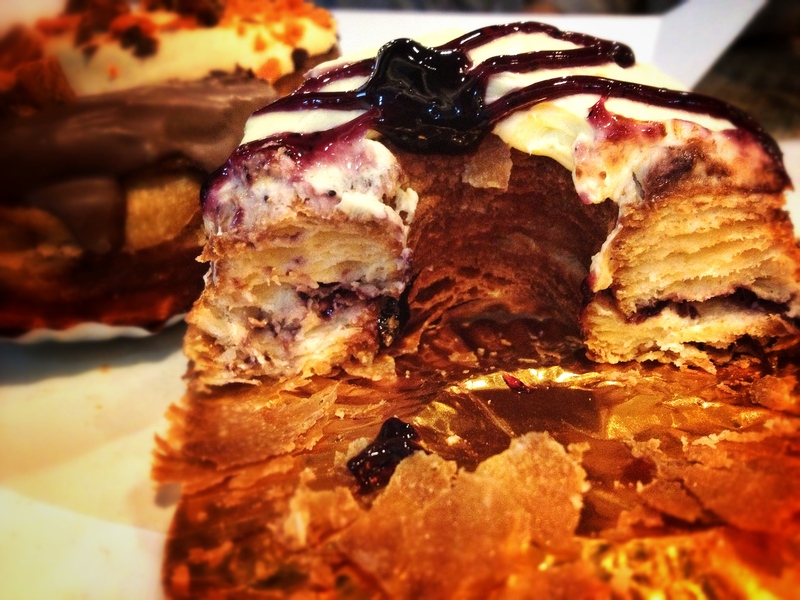 The Cronut craze caught up in Manila with a lot of bakeries imitating the new dessert including Wildflour and Dolcelatte, much like the ramen hype in New York. I was able to try the Dolcelatte out of curiosity, and it’s 1 day preorder lead time made me all the more curious. 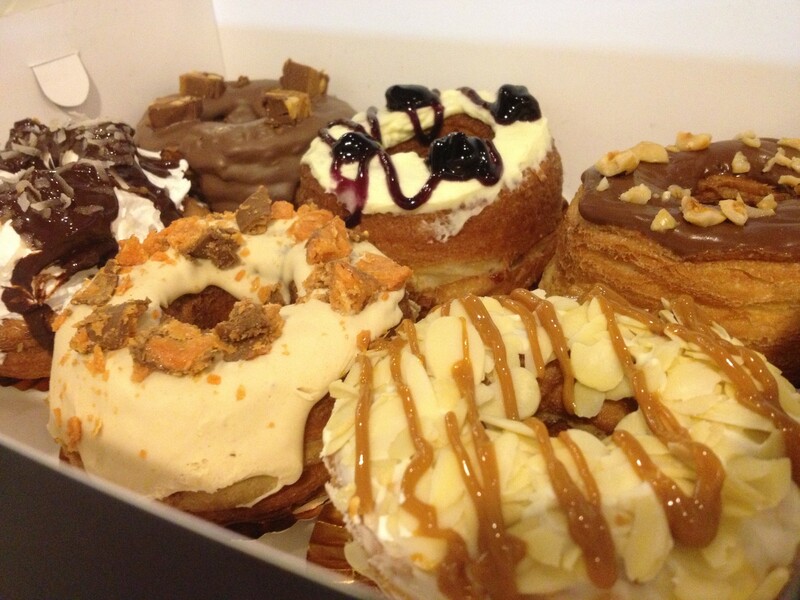 The name “Cronut” is a portmanteau of two words – Croissant and Doughnut. The texture is croissant, but shaped like a doughnut. The interiors of their gourmet restaurant are rather ostentatious, with a glass wall dividing its restaurant and a local bookshop, so it looks like a place made for business meetings. I find it rather odd to be situated on this highway, along with brothels and comedy bars that sell… other things. 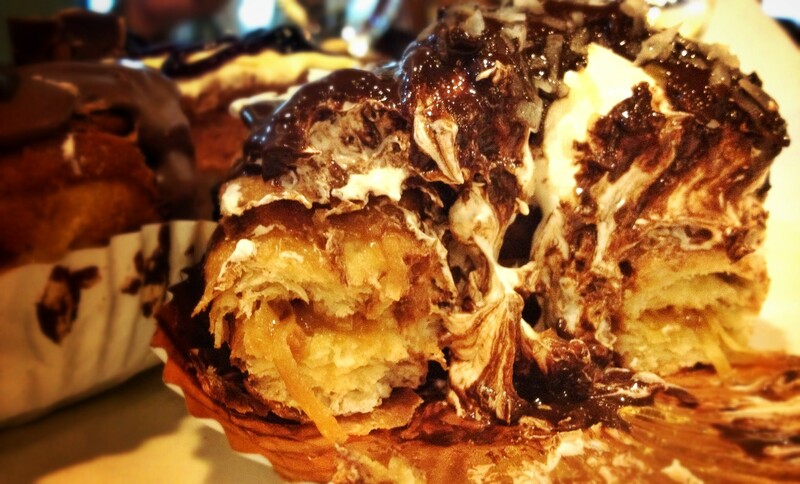 Too bad the Valrhona Crunch Croughnut was out of stock. It seems this is their bestseller. When sliced in half, you could see the layers in between. On a commentary note, the croughnut is a bit crunchy for other flavors and messy for some. It almost tasted something that has been baked for more than 2 days already, and is no longer fresh. I ordered this on a Thursday in advance, and was only able to get it Monday next week. It probably has been baked for more than 2 days already. 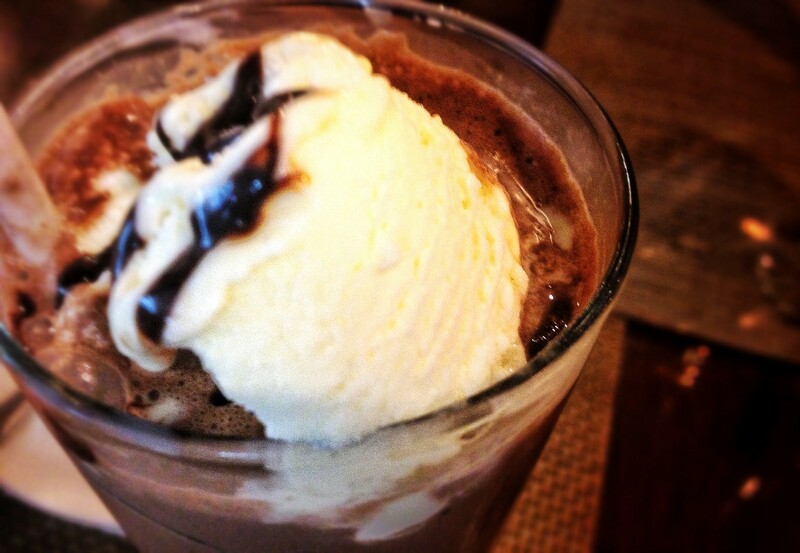 On the other hand, one of my friends got an iced chocolate drink. I like the Blueberry Creamcheese croughnut best. But to be honest, I wouldn’t go back to try this again. It’s something that I would only buy out of curiosity. For something that needs one day of reservation, it doesn’t satisfy my tastebuds and it doesn’t impress. Perhaps, Dolcelatte’s other items on their menu such as Chicken Portabello Burger with Foie Gras are better off to be tried than their croughnut.